Owners of the Grange Heights condominium are the latest to relaunch a collective sale bid in what is a decidedly chillier market. The tender for the St Thomas Walk freehold property opens today, said marketing agent Colliers International. The reserve price remains at $820 million, the same as in the second tender exercise that closed without a deal in October. This translates to $1,948 per sq ft per plot ratio, including bonus balcony gross floor area. No development charge is payable for the 136,676 sq ft site, which has a gross plot ratio of 2.8. The property sector has been slowing since cooling measures were imposed last July amid a rash of collective sale bids hitting the market. The Urban Redevelopment Authority later tightened rules on the maximum number of units in non-landed residential developments outside the central area. Colliers noted yesterday that Grange Heights will not be subject to the new average size requirement of 85 sq m, as it is in the central region. The site could yield as many as 508 new apartments in various sizes, it added. The estate has 114 apartments and maisonettes and six penthouses, ranging from 1,884 sq ft to 4,575 sq ft. Each owner could make between $5.24 million and $10.76 million. Grange Heights joins other properties where owners are again trying to sell their units collectively after no buyers were hooked last year. Their sale committees have taken different tacks: Horizon Towers, which like Grange Heights is in the Orchard Road area, is asking once more for $1.1 billion, while others, such as Park View Mansions, have lowered their reserve prices. But other projects, which have yet to secure homeowner mandates to launch a tender and are facing looming deadlines, have seen more bullish approaches. The Dairy Farm estate hiked its reserve price from $1.69 billion to $1.84 billion, while Pine Grove’s was raised from $1.72 billion to $1.86 billion. 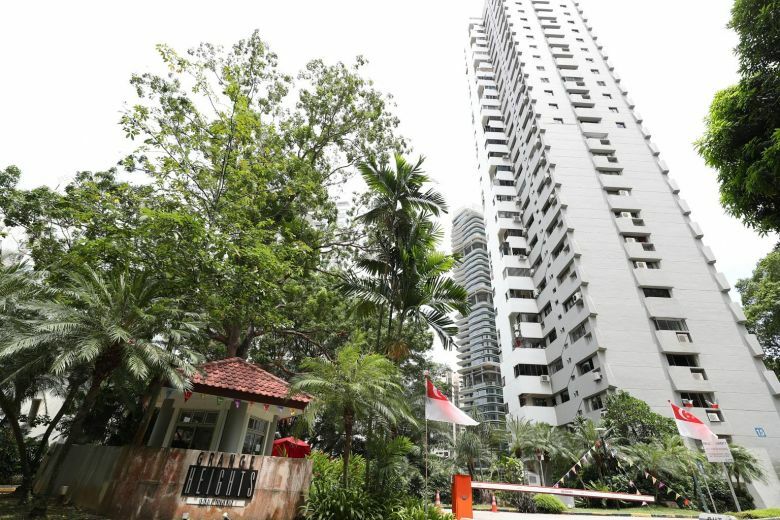 Ms Ho Siew Lan, chairman of the Grange Heights collective sale committee, said in a statement that the owners have agreed to keep the reserve price unchanged as they are “well aware of the shift in market sentiment since the new cooling measures kicked in”. She was referring to a Colliers estimate that most ongoing and upcoming residential projects will be finished by 2022, and potentially leave annual new supply completion short of the 10-year historical average of 12,900 units from 2023. The tender closes at 3pm on March 11.